WOW! 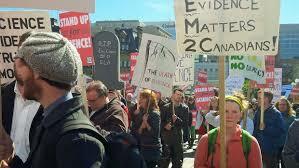 #StandUp4Science is trending in #Ottawa, #Toronto and #Canada! Keep up the great work everyone! This Minister of Science and Technology, like his Government’s policies limiting the abilities of its scientists to do their jobs, is for the dogs. In his interview, my impression was that Greg Rickford came off as defensive and arrogant, refusing to answer the interviewer on a few points, speaking over her throughout and talking to her like she’s a child in a kindergarten class at one point. The interviewer maintained her professionalism throughout. More disturbing than his poor manners was what Rickford actually says in the interview. A few bits are worth highlighting here, but again, I would encourage you to listen to the interview yourself. 1. 9:35. 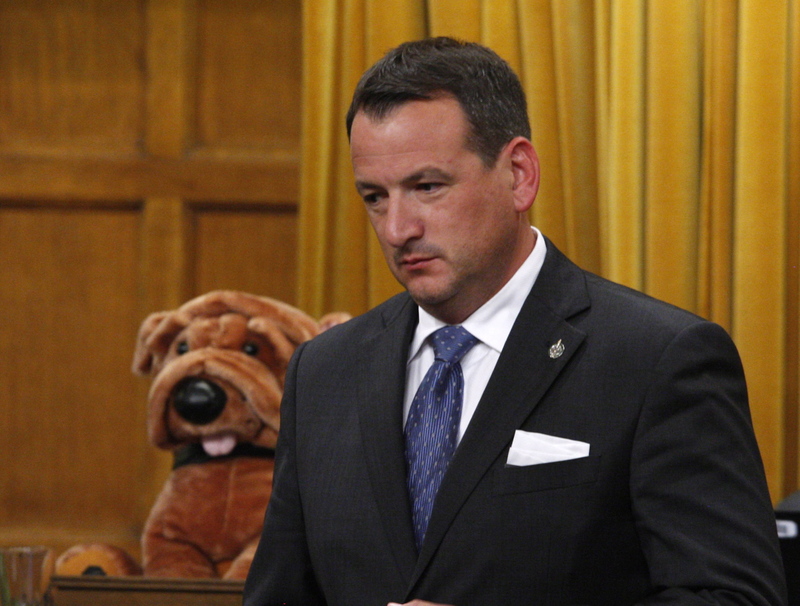 Greg Rickford agrees that the government has directed it’s research towards applied science. I don’t think anyone is disputing this, and I don’t think that applied science is a bad thing- it’s typically been the focus of what most government departments have in the past done (with the possible exception of NRC before the current government started making changes to that department). The problem is that not all science (even applied science) results in a gidget that you can sell. Lots of applied science is used to figure out the ways in which the workings of nature affect human populations, and that information is used to inform government policy on, say, what the cause of algal blooms in lakes is (based on government science). Or the reason that people’s children are suffering from mercury poisoning (based on research here by a Canadian PhD student). You can’t sell that, but ask people how much they value clean water and fish that won’t make them sick- probably ranks up there with the value of any gidget you might be able to market. Not only that, but these discoveries have saved governments around the world untold billions of dollars in health spending and environmental costs. Notably, the above examples are both applied science, but it’s science that the government no longer funds, after cutting funding to the Experimental Lakes Area and cutting the contaminants research program from Fisheries and Oceans Canada. 2. Rickford seems happy to admit there are significant constraints on the means by which government scientists are restricted in the communication of their findings. A: 12:15: “Scientists are aware of what they should and shouldn’t be disclosing”- so it’s clear there are things we are being asked *not* to disclose when it comes to communicating our research. Glad that’s out in the open. 3. 13:43. When asked about the thousands of opportunities every year that government scientists have had to communicate their work through the scientific papers they publish, Rickford clarifies: “Publications are not press conferences… that’s not a telephone interview.” So true, Greg, and that’s a major part of the problem. The general public aren’t reading scientific papers, they listen to the news. So how do you get that government science to the people? According to Rickford, we give them our scientific papers. As Rickford asks the interviewer, with all that scientific publishing,11:56, “How much freer (sic) could you be?” Free enough not to have had every media request I’ve ever had flatly denied by the communications department- I’d like to be more freer than that, Greg. 4. 14:09- the interviewer asks if government science publications are “censored” or edited by government departments. She’s likely referring to the publication rules like the ones I have to go through in my department, where a manager who’s not been involved in the work has the power not to sign the copyright release on a paper (and therefore keep it from being published) if they don’t like what it says. And here’s the most telling quote of the piece: “Scientists work for governments, universities and private institutions. Would you expect that anything that they did in terms of publications wouldn’t be guided in some way by some overarching policy of their respective employer? That would be true of universities, I would suspect, and it would be true of scientists working in the private sector”. Greg, you suspect wrong. Unlike the private sector, No university I have ever been at vets the publications of its professors and students for “appropriate messaging” like your government does. So there you have it- this is the guy running the show for Science and Technology in Canada for the next two years (at least). In the humble opinion of this scientist, the need for Canadians to Stand Up for Science is more apparent than ever.